There’s nothing like spending a beautiful fall day on a farm, enjoying a sweet treat and a cup of freshly made cider. 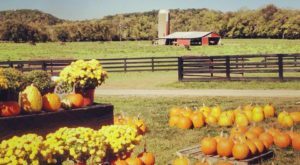 This idyllic scene comes to life in Kentucky at Evans Orchard and Cider Mill in Georgetown. 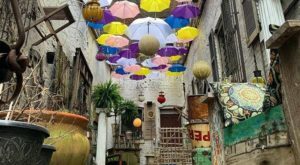 This family farm specializes in fruits and vegetables, as well as welcoming guests to try their cafe, bakery, and fun-filled activities. 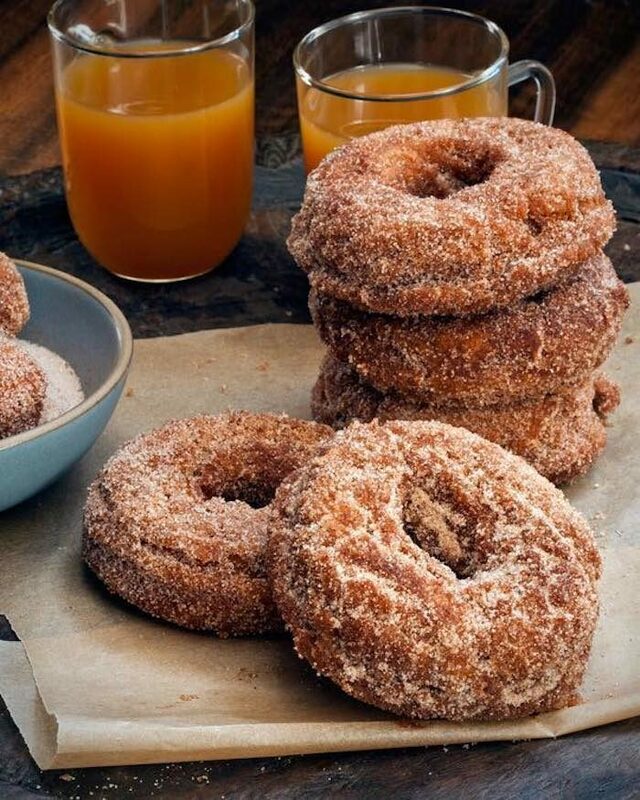 This cider and donut mill will definitely put you in the mood for fall. 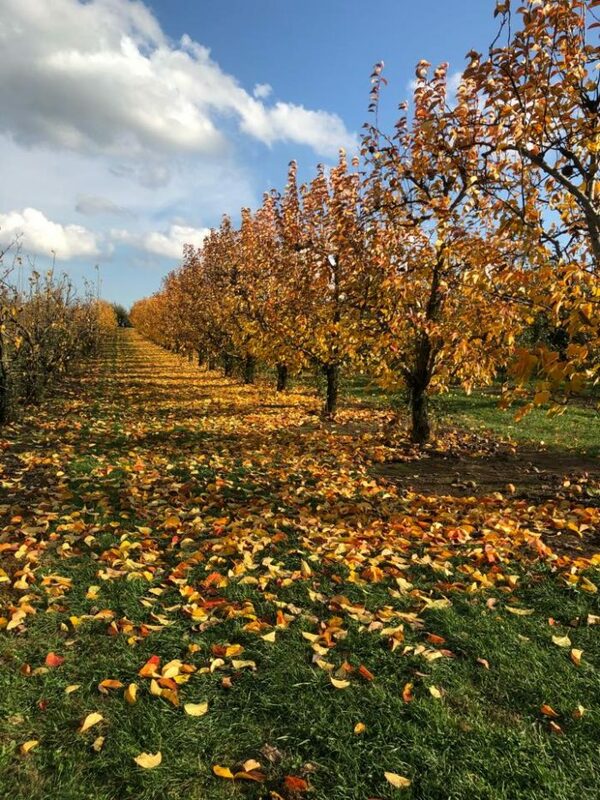 Evans Orchard and Cider Mill is a 5th generation family farm in the picturesque city of Georgetown. 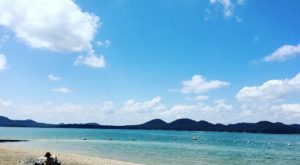 What was once acre upon acre of tobacco and cattle is now rows of fruit orchards and fresh vegetables, as well as many other fun-filled features. The orchards are a unique feature on the farm and you can even walk through and pick some of your favorites. 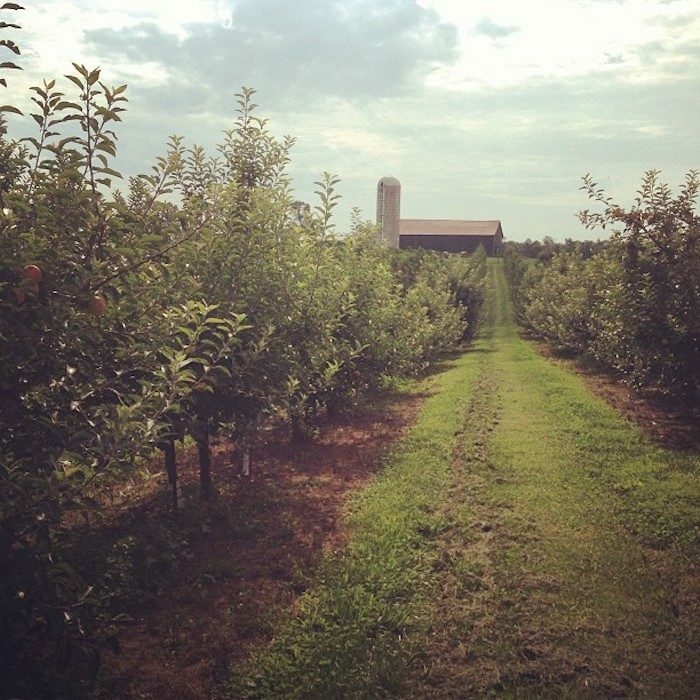 Their U-Pick schedule is available on the farm's website (linked below) and now is the perfect time for apple picking! 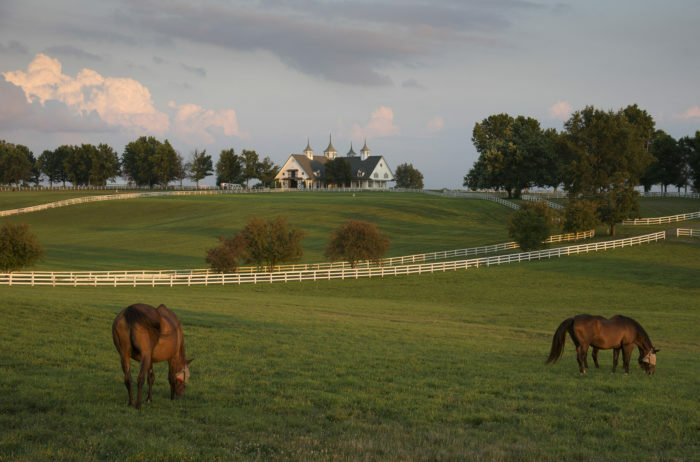 Fall is a beautiful time on the farm, but also keep in mind that it is open all year long. This season, along with apples, you can also pick pears and, of course, pumpkins. Apples (and everything you can make with them) take the spotlight at this farm and everything is delicious. Within the farm's market, you'll find a number of apple items to purchase and take home with you. There are a variety of apples freshly picked from the trees, as well as many other fruits and vegetables. 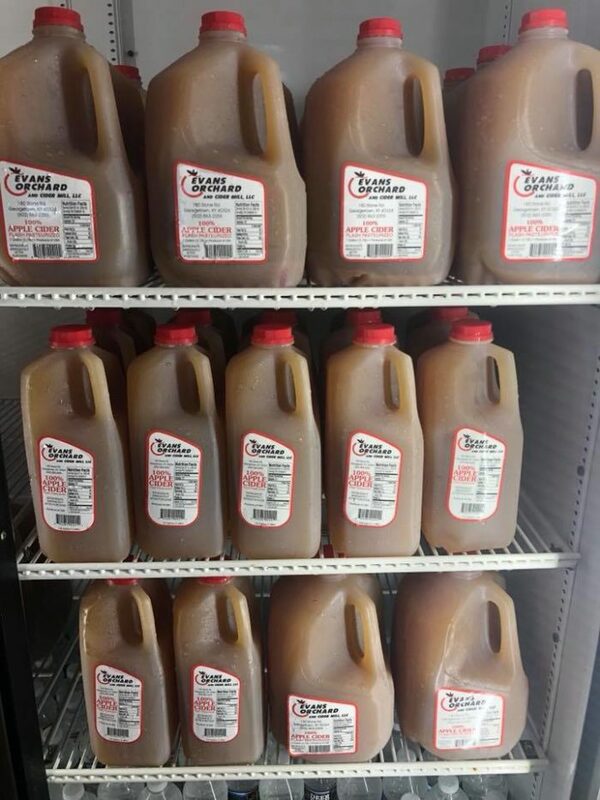 Nothing tastes more like fall than freshly made apple cider, and Evans has some of the best. Pick up a chilled gallon (or two) and enjoy it both chilled or warmed up in a mug with a dash of cinnamon. Another unique find at Evans is the apple cider donut. These sweet confections are made right on the farm and taste like fall with each bite. The donuts are perfectly sweet and bursting with fresh apple flavor. Purchase a half a dozen (or more) and be prepared for an unforgettable treat. 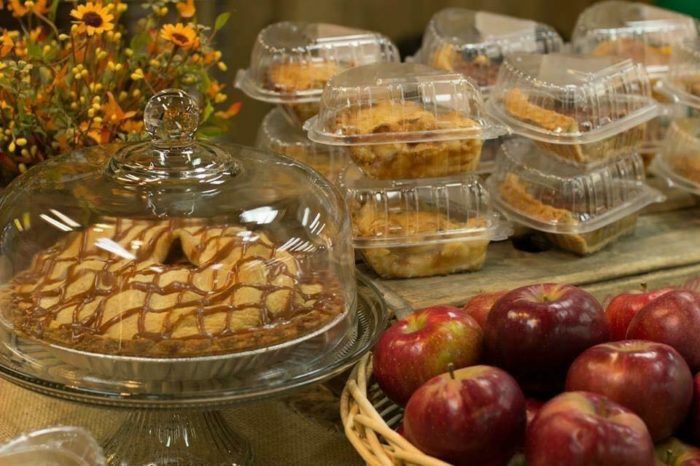 The Sweet Apple Cafe & Bakery is also open every day the market is open and serves up many more meals on their menu. 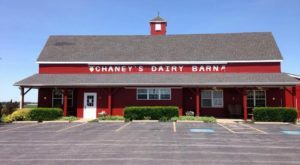 Enjoy burgers, sandwiches, and hot dogs, then finish it off with a donut or fried pie with ice cream. 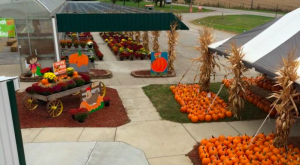 Evans Orchard, Market, and Cafe is open Tuesday - Saturday from 9 a.m. to 6 p.m. and Sunday from 12 p.m. to 6 p.m. 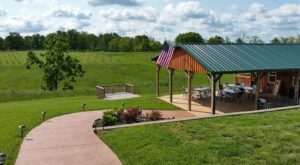 The farm also hosts specific seasonal events, so be sure to check out their calendar on the site below. Don't forget to bring the kids along to enjoy the play area and animals in the barnyard! 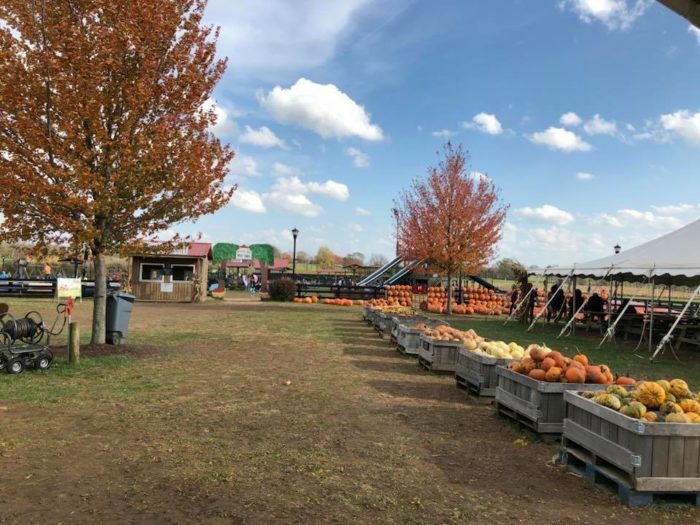 Evans Orchard and Cider Mill is a charming family farm that specializes in all things fall and is the picture-perfect place to experience the best of the season. 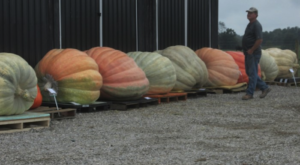 Is a visit to Evans Farm a family tradition for you each year? 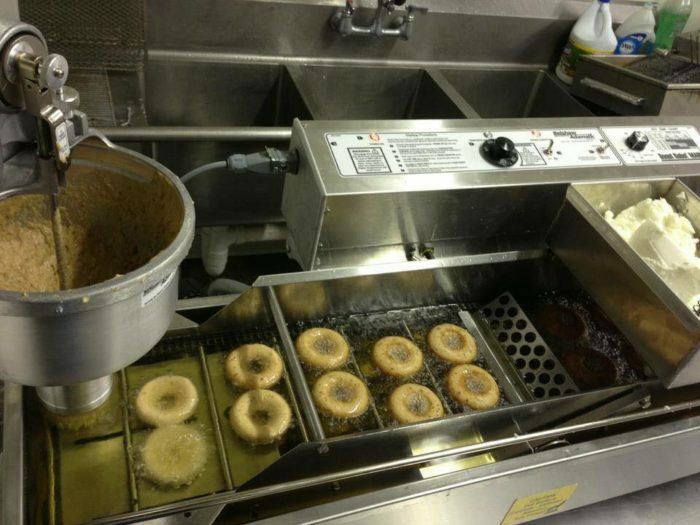 Have you tried their out-of-this-world apple cider donuts? Share your experience with us in the comments! 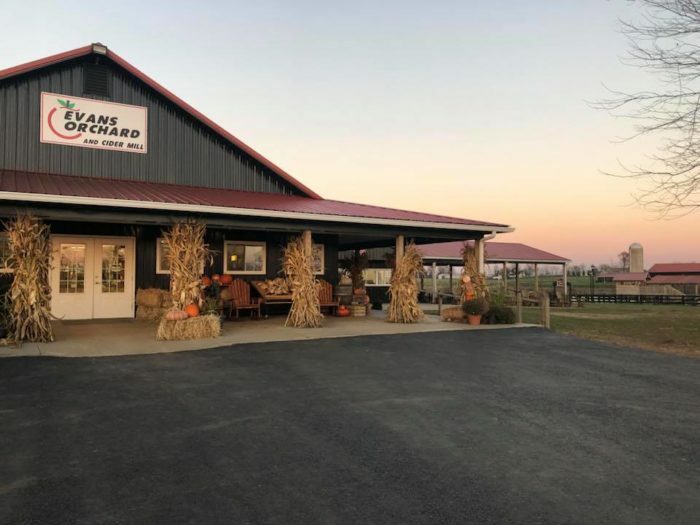 Evans Orchard and Cider Mill is located at 198 Stone Rd., Georgetown, KY 40324. For more information, visit their website here and follow along on Facebook here. 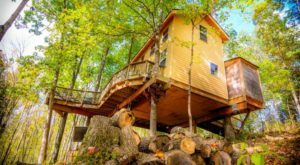 And for more apple orchards in Kentucky, check out our previous article here.